I left Hawkinsville in the year of 1955. I was in Mrs. Ruth Williams class, so I should have graduated in the "Hawkinsville HS class" of 1960. I completed my high school education at Barringer High School, Newark, New Jersey, in 1960. Next, I went into the Air Force and spent the next four years overseas. I was stationed in Japan, Okinawa, Vietnam and the Phillipeans. I attended Essex county college, Newark, New Jersey. There I received an Associate Degree in Engineering. Next, I attended New Jersey Institute of Technology for my BSEE and my MSEE degrees in Electronic. Eugene Jackson('aka' Howard Smith) has a birthday today. Eugene Jackson('aka' Howard Smith) added a comment on his Profile. Eugene Jackson('aka' Howard Smith) changed his "Then" picture. Eugene Jackson('aka' Howard Smith) changed his "Now" picture. 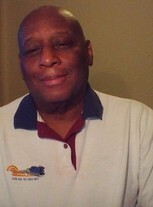 Eugene Jackson('aka' Howard Smith) updated his profile. View. Eugene Jackson('aka' Howard Smith) posted a message. Eugene Jackson('aka' Howard Smith) posted a message. New comment added. Eugene Jackson('aka' Howard Smith) changed his profile picture.